The biggest ships launching in 2017 come from MSC Cruises, who debut two new designs, Meraviglia and Seaside, which carry 4,500 and 4,140 passengers respectively. First off the blocks, however, is the much smaller Seabourn Encore – heading for a christening ceremony in Singapore in January. Luxury rival Silver Muse will be named in Monaco in April. The 3,900-passenger Norwegian Joy and Majestic Princess (3,560) are both destined to work the Chinese market. Like the two new Viking ships arriving next year, they are built to the same design as their older sisters. Rounding up the list of newcomers is sailing ship Flying Clipper, while Thomson Cruises will add another “previously owned” ship to their fleet when Legend of the Seas becomes TUI Discovery 2. Entertainment will be a big thing on MSC Meraviglia, not least because the ship will have a theatre venue created specifically to accommodate spectacular productions from Cirque du Soleil. Many other ships have shows inspired by Cirque but this will be the company’s first residency at sea. 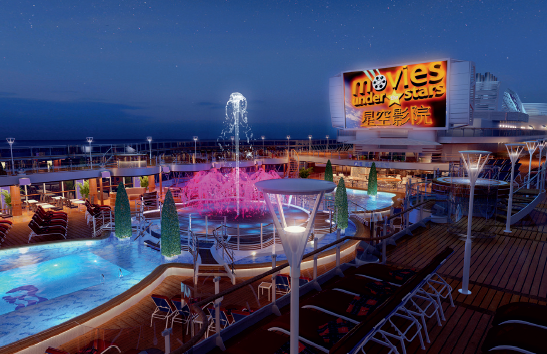 Other distractions from cruising and sightseeing will include a multi-purpose karaoke bar, comedy club and TV studio, and a full-sized two-lane bowling alley. The 4,500 passengers can wander an indoor promenade the length of a football pitch and fitted with a 480 sq metre LED screen for a ceiling. 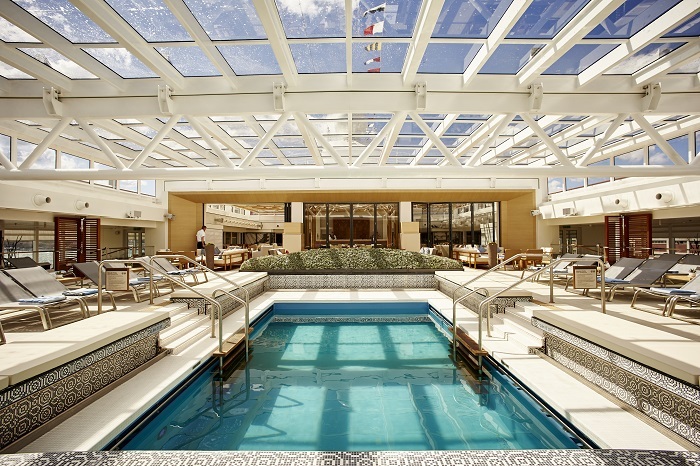 Meraviglia sails the Mediterranean from July. 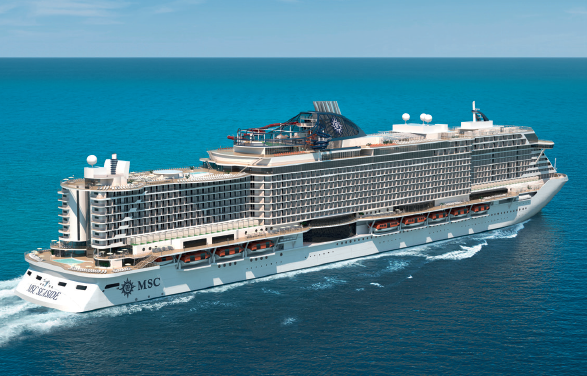 The first of a new generation of vessels for MSC, Seaside is proclaimed as “the ship that follows the sun” and will be based year-round in Miami from her debut in December 2017. The design is intended to bring guests closer to the sea with a wraparound waterfront promenade packed with outdoor seating for bars and restaurants. That won’t be quite as unique as MSC claim, however – Carnival and Norwegian have done just the same on their newest ships. A step up in size from Seabourn’s three current ships, which each carry 450 passengers, Encore accommodates 604 in cool, modern interiors designed by Adam Tihany. Menus in The Grill restaurant are masterminded by Michelin-starred chef Thomas Keller. The ship is being built in Italy and will be christened in Singapore in January, and Master of the vessel is Captain Mark Dexter, familiar to British passengers who have cruised with Swan Hellenic and Hebridean Island Cruises. And then there were three… Majestic is a sister to Royal Princess, christened by the Duchess of Cambridge in 2013, and Regal Princess, launched in the same year. Majestic is similar in design to P&O’s Britannia, at least on the outside. Inside it is very different – created to cater for the needs of a Chinese clientele because the ship will be based year-round in Shanghai. Before heading east, Majestic Princess will operate a handful of cruises in the Mediterranean from April. This ship was going to be called Norwegian Bliss until NCL decided it would be sent to China, so they came up with a different name. Carrying a total of 3,900 passengers, it has a gated community – The Haven – of 74 suites surrounding a private courtyard and pool. The pampered few will be able to join other passengers on the ship’s kart track – a first at sea – and a double-loop waterslide. Norwegian Joy makes its debut in summer 2017. Not brand new, but new to Thomson Cruises, Royal Caribbean’s Legend of the Seas will get a makeover to become TUI Discovery 2 in May. She joins her former sister Splendour of the Seas, which was re-christened at an all-star event in Mallorca last summer. Thomson’s plan will be to take the American excesses out of the ship and cater for British tastes when it comes to food, entertainment, and that all-important kettle in the cabin. Two more Viking Ocean ships arrive next year, joining Viking Sea and Viking Star. Of identical design, they carry 930 passengers and feature the best observation lounges at sea – two decks high and with panoramic forward-facing windows. Launching in April in Monaco, Silver Muse continues Silversea’s style of being small but perfectly formed. The ship carries 596 guests in all-suite accommodation, just 56 more than Silver Spirit, the line’s current flagship. Take a trip back to the days of tall-ship sailing aboard Star Clippers’ Flying Clipper, debuting in December 2017. The five-masted ship – the world’s largest square rigger – will be driven across the waves by 35 sails. Her deck will house no less than three pools, one of which is glass-bottomed to filter light into the main dining room. There are engines available for days when nature does not oblige with sufficient wind speed. Itineraries for the 300-passenger ship have yet to be announced. Passenger/space ratio is calculated by dividing the gross tonnage by the number of passengers (dual occupancy). As a general rule, the higher the number, the more luxurious the ship. Cost per day is an average of published sample fares for the lowest priced accommodation during summer 2017.